Mel Gibson and Heath Ledger in an animated screensaver with scenes from the movie floating across the screen. 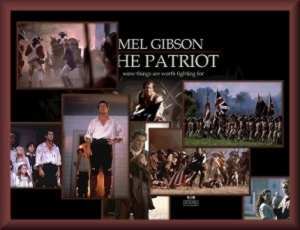 Images copyright by Columbia Pictures. Read a review of this movie at JoBlo's Movie Emporium. music- "Pomp & Circumstance", a patriotic tune. Screensaver copyright, ART-TLC ©.